Truss Inspection, what and why? One of the most frequent things we get asked about at TSG is Truss inspection. We have been offering a full truss inspection service for many years along with giving various advice and many of our customers have been using us for their truss inspections for a very long time. Truss inspections are a requirement of legislation, with pre-use checks being carried out every time a truss is used, and always before it is lifted. 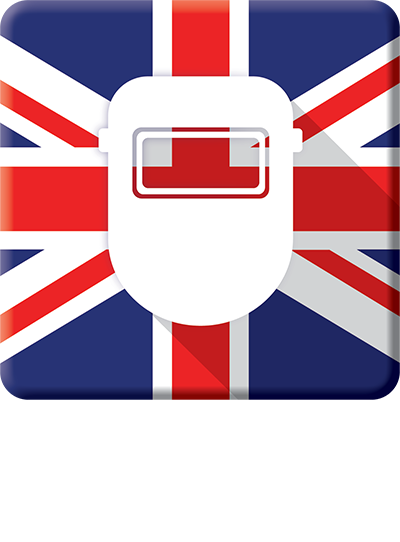 In the UK, PUWER 1998 (Provision and Use of Work Equipment Regulations) has requirements for the inspection of work equipment that creates a risk. Under LOLER 1998 (Lifting Equipment and Lifting Operations Regulations) a truss that lifts a load requires a recorded Thorough Examination according to either a formal scheme or a calendar based approach. From a manufacturer’s point of view this can only be a good thing. Most reputable manufacturer’s have been providing these guidelines for some time. However, it is very important to understand that inspection criteria are product specific and other manufacturer’s criteria cannot be applied to TSG products. Neither should our criteria be applied to other manufacturer’s trusses. Any reference to % reduction of cross section areas or lasting deformation and still being within safe limits can only be applied if the structural calculations for that truss are compliant with CWA15902-2_12.2008 (Soon to be EN 17115) and previously BS 7905-2. This is because these documents down rate the structural calculations with a Frequent Use Factor. This factor is specifically included because our products are not permanent buildings and as such will be subject to wear and tear during their everyday use. It should be noted that structural calculations to Eurocode do NOT call for the inclusion of a ‘Frequent Use Factor’. Beware, some manufacturers do not include this downgrade in there quoted load figures. If 3rd Party inspections are checking welds then they should only inspect a manufacturer’s product when they are fully conversant with the manufacturer’s welding procedures. It is impossible to carry out a weld inspection without having knowledge of the Execution class, Consequence Class, Weld Quality Level and various other procedures laid out by the manufacturers factory control process. 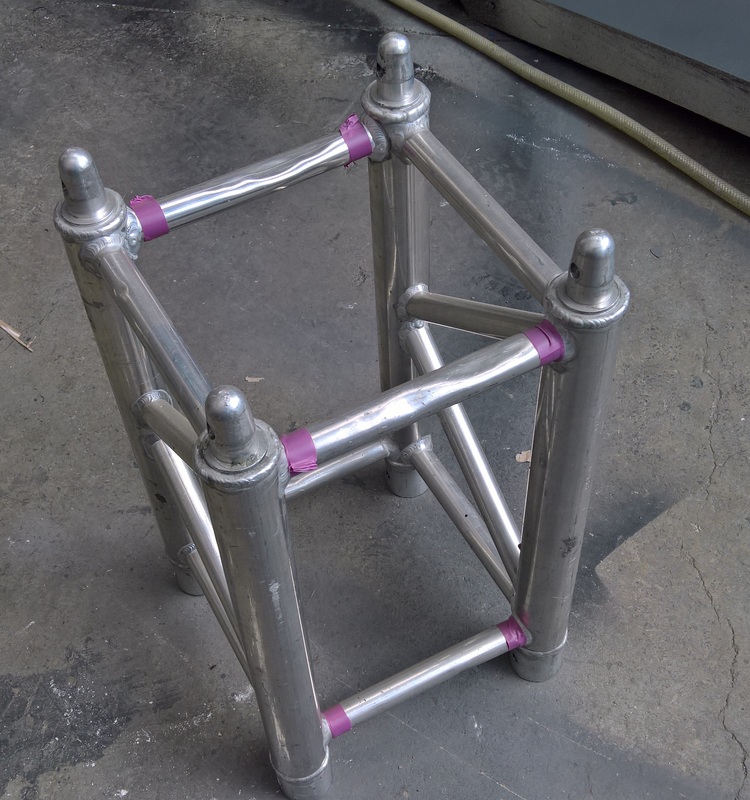 Inspecting trusses that are powder coated or painted will prove particularly difficult when it comes to checking welds. The painting process will always mask most cracks. Moreover, if the truss is painted repeatedly, paint may keep filling defects over time. Trusses should always have the previous layer of paint removed before any new painting occurs. A truss inspection should always be carried out before the new layer is applied. Our truss inspection guidelines are designed to be common throughout the TSG truss range. You must, however, use this information in conjunction with details relating to the specific design of the truss you are inspecting. As an example, here are two frequent reports from clients following 3rd party inspections. ‘My truss has failed its inspection because they are small holes in the tubes.’ 9/10 times these are the holes used in the manufacturing process. They are vent holes to allow the release of the hot gases during welding. Sadly, it is all too common that these are viewed as defects and thus unduly panicking the owner of the truss. These should not be confused with the holes caused by an overzealous carpenter that thinks they can screw that bit of fascia to the truss without consequence! ‘My Truss has failed its inspection because the end of the Tubes on my truss have been squashed so they are not within your guidelines.’ This is where specific product knowledge should be employed. 9/10 times this is referring to the end of a chord on a gusset connection truss. If this squashing is beyond the last weld and does not affect this weld then there is not a problem. This 10mm piece of chord is doing absolutely nothing. A truss, after all, is a structural component. Most of the time this is the most essential element stopping everything coming crashing to the floor. Why would you not check it is fit for purpose, along with that shackle, sling and motor? At TSG we are always able and willing to offer advice on truss inspections.